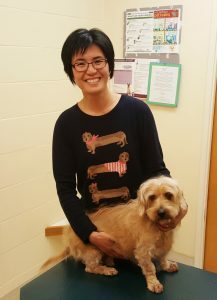 We are so excited to announce Dr. Emily Lin, of Pinole Pet Hospital and Hercules Pet Clinic, came 3rd in the annual Pets Best "My Vets the Best" Contest! (3rd IN THE ENTIRE COUNTRY!!!) Thank you for all your votes! 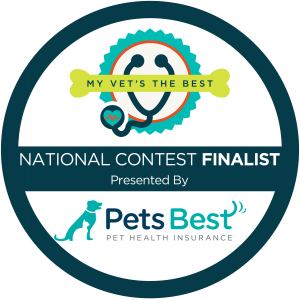 The “My Vet’s the Best” contest recognizes outstanding veterinarians across the country, that have made a positive impact on their pet patients and local communities. Dr. Lin received the most nominations of any veterinarians in the whole country! Dr. Lin is an amazing example of what it means to be the best veterinarian and we couldn't be more proud of her! You can make an appointment to see Dr. Lin at Pinole Pet Hospital 1400 San Pablo Ave, Pinole, CA 94564 - (510) 724-8766 or Hercules Pet Clinic 1511 Sycamore Ave, Suite B, Hercules, CA 94547 - (510) 799-3888. If you are an existing client, you can schedule an appointment through our online booking system: Click here! You can also read more about Dr. Lin by clicking here!